Should we wait until Spring to List our Home? 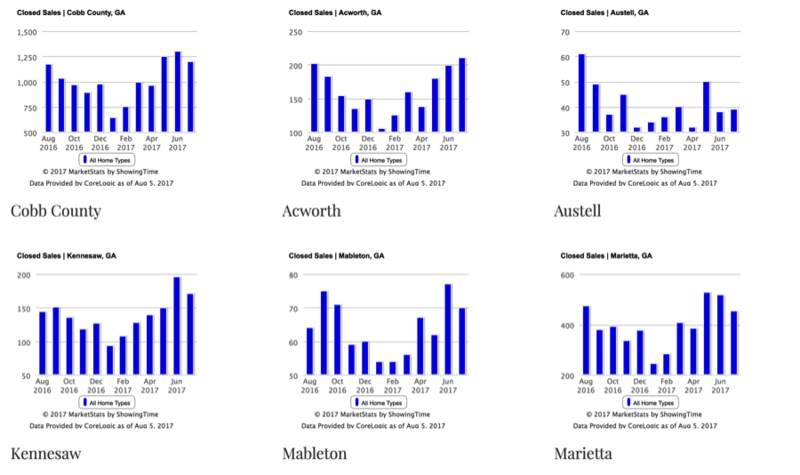 With Prices up 16% in the past 12 months and the uncertainty regarding interest rates, I am often asked at the end of the summer “Should I wait until Spring to market my home?” The short answer is “No!” The attached charts show the number of sales for the past year plus in some of our more popular cities. December, January, and February do have fewer sales than the rest of the year but there are literally 100’s of sales each month! Add in that buyers that are looking during the “holidays’ tend to be more motivated than summer lookers; then it may actually work to your advantage to put your home on the market now! We can help you sell your home at the time that’s best for you and your family!